The Sam timber playhouse would make a beautiful gift for younger children – their ideal space to play house, set up a dolls’ hospital or school. The small terrace at the front looks good and extends the possibilities for pretend games. This traditional children’s playhouse design is backed by high-quality construction and materials. 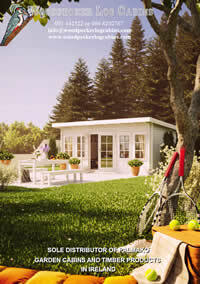 The playhouse is constructed from 19mm solid timber, which is sturdy and durable. The terrace boards are pressure-treated to protect against damp and decay. 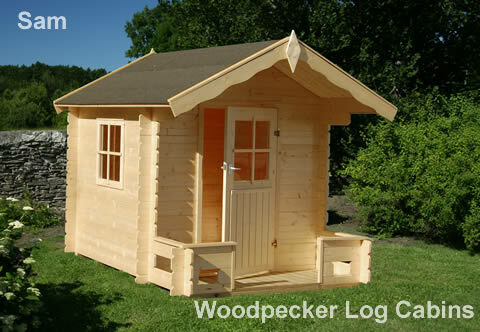 The Sam timber playhouse is 188cm high at its tallest point, with a well-proportioned door 131cm high. Both the door and the side window use strong, weatherproof plexiglass.The playhouse is supplied unpainted so you can paint – you can go as plain or as creative as you like. We recommend that you treat or paint the wood as soon as possible after construction.